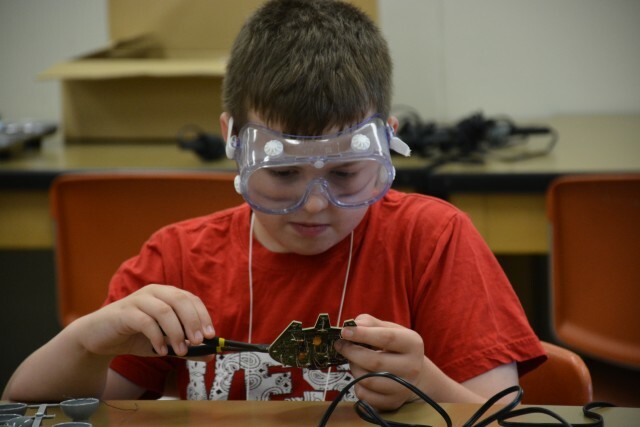 Camper finishing circuit board of his robot prior to final assembly. BRANDON, MB – A Brandon University (BU) professor has been awarded a federal grant to support science programming for a summer camp that encourages healthy living, creative expression and scientific curiosity in children and youth. 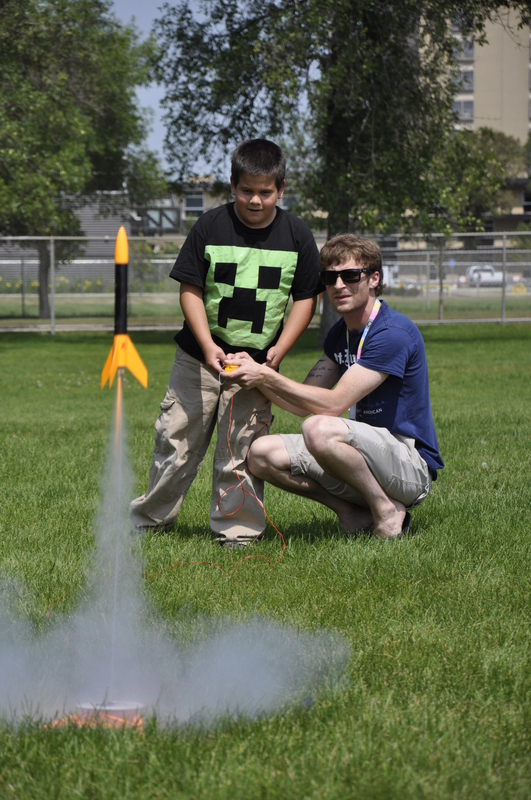 Counsellor guides camper through a rocket launch. Dr. Nancy Stanley, Department of Physical Education, says the $18,700 PromoScience Grant from the Natural Sciences and Engineering Research Council of Canada (NSERC) will advance the science programming of Mini University. “PromoScience funding will help cover Mini University science instructor wages, course supplies and equipment, and travel and promotion of the program, enabling Mini University to continue to provide high quality science programming and encourage more children and youth to consider careers in science,” details Stanley. Mini University is a not-for-profit organization that depends on registration fees, grants and donations to help facilitate the camp that runs from June 30 – September 4, 2015. Founded by Dr. Nancy Stanley in 1984, Mini University has encouraged lifelong learning in over 17,000 campers since its inception, growing from 200 participants per year to over 1,000.